Five Irish women request abortion pills online every day, a study suggests. The data comes from a survey of 1,000 women who contacted the site 'Women on Web' between 2010 and 2012. Researchers found that just 3% of women experienced complications and had to seek medical help. Dr Abigail Aiken, Assistant Professor at the University of Texas, carried out the study. She says many women seeking help online are desperate, and use the pills "under a shroud of isolation, stigma, and terror of criminal prosecution". She said: "While looking for online telemedicine, women - in a study of 40 women that we interviewed about their abortions - told us about trying some very upsetting things... like jumping in front of traffic, or having somebody punch them in the stomach. "They were able to not use those options because they found online telemedicine." Dr Aiken was speaking at an event organised by Solidarity TD Ruth Coppinger, who is campaigning for a 'Yes' vote in this month's referendum on the Eighth Amendment. Deputy Coppinger observed: "The experience of using the pills is positive for most - it saves women the trauma and expense of travel and very few need medical follow-up. 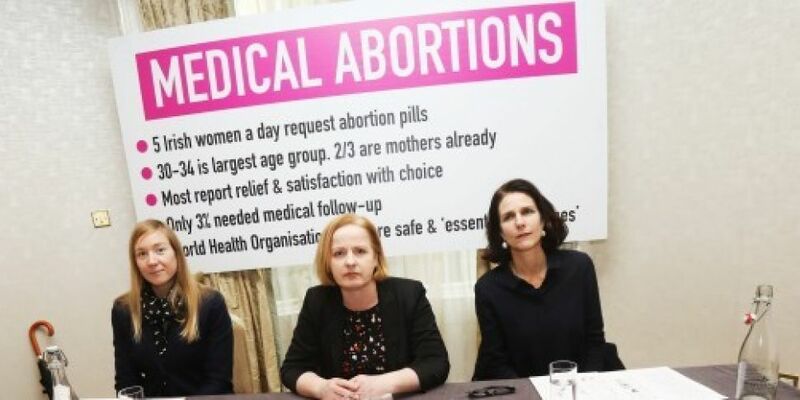 "The widespread use of the pills shows that the proposed post-Repeal legislation for abortion access to 12 weeks is vital, unless we want 92% of abortions to remain in illegality."